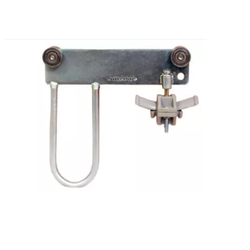 Our range of products include festoon single track, trolley track, track clamp, c-channel, track coupler and flat cable trolley. We at, silver line metal engineering private limited are the well-known pioneers in manufacturing and exporting a wide range of festoon systems. The Festoon System Single Track is also known as enclosed C-track festoon system as the system is fully enclosed from all sides thus preventing the dust and dirt from entering the system and blocking it. We manufacture these products known for its better strength and load bearing capacity. It can take loads of more than 50kg/mtr. The price of our products is very cost-effective. All the products are listed under the major categories as follows are track for trolley 4500 mm, c-channel for support 500 mm, track coupler, track clamp, towing trolley, towing arm, wire clip plastic, end stop, flat cable trolley, round cable trolley, pendant trolley, C- channel cleat, track clamp and fixed trolley. Possessing well organized distribution network, we offer an assorted range of Track For Trolley-4500 mmto cater for huge industrial demand. We manufacture these tracks using finest quality G.I. sheets. The thickness is 1.5 mm and length of each track is 4500mm. The profile of the track is such that it can take higher loads than the conventional C-type tracks. It can take a total load of more than 50kg/metre. Since the track is made from G.I. sheets, there is no chance of corrosion. We give accurately rolled tracks so that there is no problem during the coupling of tracks. 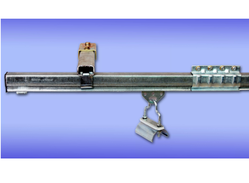 Track Clamps are used for clamping the festoon tracks to the C-channels. These are basically the link between the C-channel and the festoon track. 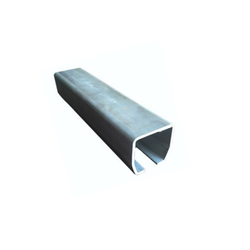 Backed by the excellent state-of-art infrastructure, we manufacture and export an ample range of C-Channel for support-500 mm. C-channels are used for supporting the festoon tracks. We use G.I. sheets for manufacturing these supports to prevent corrosion. The C-channels are fitted to the girder by bolting with C-channel cleat, which in turn is welded to the girder. It is available with us in the various lengths such as 250mm, 500mm, 700mm 800mm, 1100mm and 1400mm. Track Coupler is used to join two festoon tracks. It has four bolts for stronger and better gripping of the tracks. 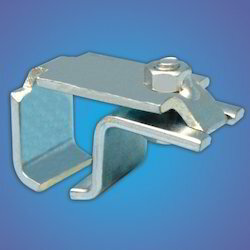 We offer the coupler with a thickness of 2 mm, and is zinc plated to avoid corrosion. We are proud to offer a wide range of best selling Flat Cable Trolley in the market. 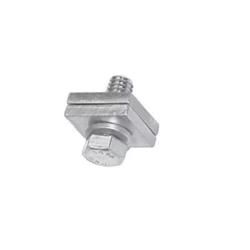 They are widely used for many industrial purposes such as overhead cranes for the transmission of power and control cables for cross travel as well as long travel. These trolleys are very smooth in operation and can be used for round cables as well as flat cables. We provide saddles of width 70mm and 93mm based on the number of cables. Free movement of the saddle allows the cables to untangle. Pendant Cable Trolley is used to carry the pendant cable. 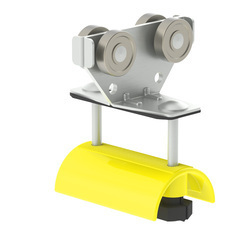 It is the leading trolley in the system and is provided with 8 bearing for better strength and stability. The pendant cable is passed through the hook and can be plugged into the trolley. Holes are provided on the trolley to insert the plug/socket. Silverline Metal Engineering Pvt. Ltd. Introduces distinctive range of C Track Meetrel Festoon System that is mainly used for electrifying various kinds of mobile equipment. Designed using latest technology and tools, You can use system to running flat & Electrical cables as well as water and air hoses. Supported by experienced professionals and vast manufacturing unit, you get ultimate range of Festoon systems that are highlighted due to its comprehensive features like acid-proof, non-corrosive, sea water-repellent, easy installation, light weighted, and much more. Being a pioneer name in manufacturing and supplying wide array of Festoon System, clients can easily buy our products at the Leading market share. 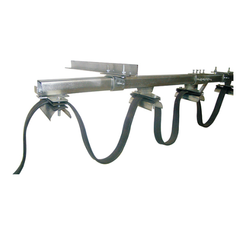 Towing Arm is generally welded or bolted to the hoist by the base plate. The arm is then inserted into the towing trolley. 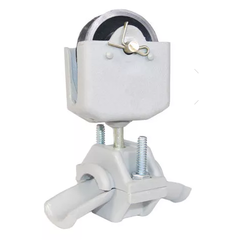 This arm pulls the leading trolley based on the movement of the hoist. All trailing trolleys move along with the towing trolley. These cleats are bolted to the C Channel Cleat support of festoon system and then welded on the girder. Possessing hi-tech infrastructure facilities and updated technologies, we manufacture these cleats defect free and perfectly reliable. Our expert teams are ready to provide c-channel cleat as per our precious customer's specifications. These channel cleats are known for its durability and reliability. 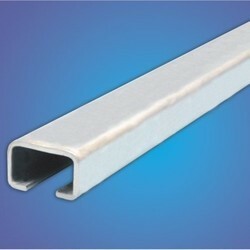 We offer these products in thickness of 2.8mm made of efficient quality CRCA materials. Silverline Metal Engineering Pvt. Ltd. Is engaged in manufacturing and supplying stretched Wire Rope Festoon System that is extremely appreciated for excellent, vast usage, low maintenance, long service life and light weighted features. It is extensively used on port cranes and other heavy duty handling applications. This is a very easy and most economical festoon system used for supplying power for long travel motion along a shed length. It is very easy to install and maintain can work easily up to 25 to 30 mts Length. We are acknowledged as one amidst the trustworthy Manufacturers, Exporters and wholesale stretched Wire Rope Festoon System suppliers. End Stopis used for stopping the active travel of the cable trolley in the festoon track. It is made of Mild Steel and is zinc plated to avoid corrosion. This is required to prevent overrun of the trolley and thus prevents the trolley from falling out.